The latest stand-up paddleboard from Hobie Cat takes the sport to the next level by combining top-notch paddleboard construction with the company’s patented, leg-driven MirageDrive propulsion technology. 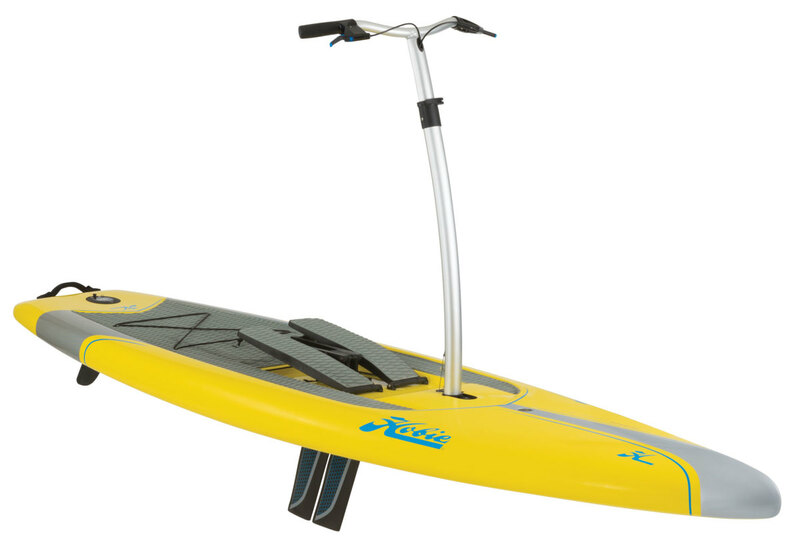 The board is kitted out with a standing handlebar system that makes steering the SUP a breeze, however, if you want to do some traditional paddling, you can remove the handlebars, lock the rudder and paddle the Mirage like a normal stand up paddleboard. The board comes in two models: the Eclipse 10-5, measuring 10ft 6in and weighing 54lb fully rigged; and the Eclipse 12-0, which comes in at 12ft and weighs just shy of 59lb.